It was the season again. 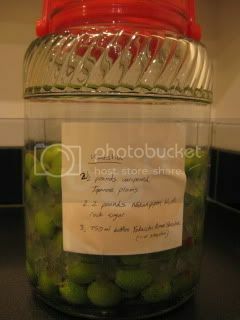 Season to make a new batch of Ume-shu (plum liqueur). 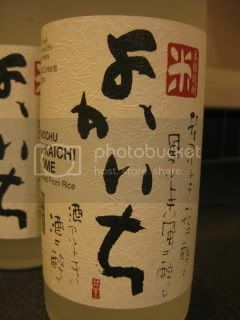 This time, instead of using a neutral kind of shochu (Japanese spirit), we decided to use kome-shochu (made from rice). 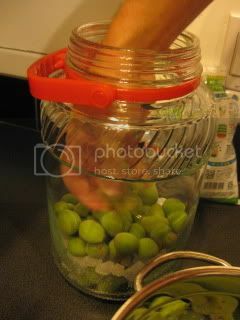 Ao-ume (under-ripe green plum) are rinsed, cleaned, and air-dried. 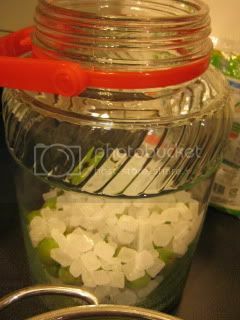 Plums and rock sugar are put in a jar in layers. Then, all 3 bottles of kome-shochu was poured in. The mixture will be stored in a cool storage. Ume-shu will be ready in 1 year, but I would like to age it for 2 years for the nice deep flavor. 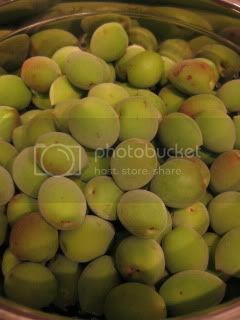 Here's the ingredients list: 2.5 pounds of ao-ume (plums), 1kg (2.2 lbs.) 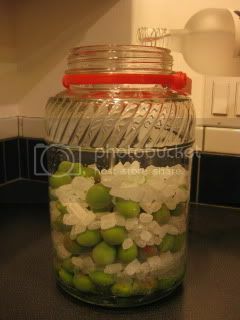 rock sugar, and 3 x 750ml bottles of kome (rice) shochu. It's going to be a little more extracted version than last year's batch.